Meeting once more in this sacred place, the Holy Monastery dedicated in honour of the Name of the Holy Trinity, where the renowned Theological School of Halki educated generations of clergymen and theologians, we have gathered once again for an ecological encounter. 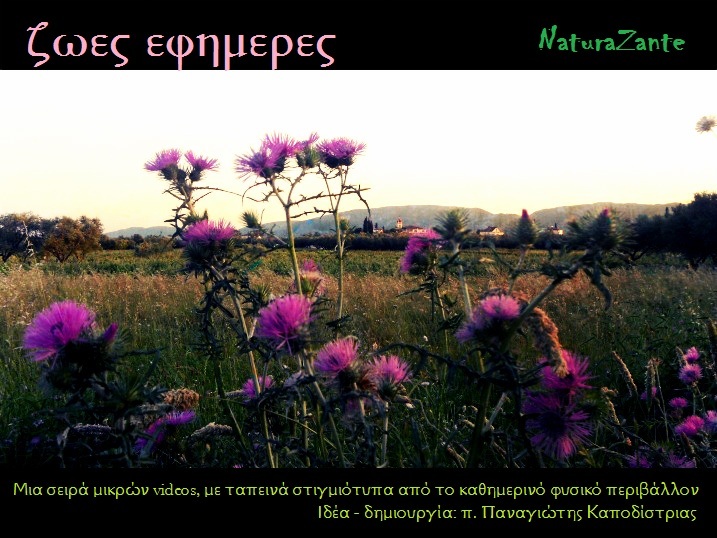 We are not in the least under the impression that we have sufficiently cultivated the ground, so to speak, whereby Churches, religious communities, environmental organizations and scientists communicate with each other to the four corners of the earth regarding the vital issues of the protection of the environment. On the contrary, we steadfastly believe that the global ecological problem, as we discover more and more its truly unbelievable dimensions, requires a long-term programme of complex and concerted studies, so that, in the combination and creative synthesis of their conclusions, we may be able to effectively face the global threats already evident, caused by the irresponsible, if not criminal, behaviour of rational man towards the non-rational and soulless creation--creation, in which God placed man from the beginning "in a paradise of delight," as sovereign on the one hand, but on the other as a healer and steward. The destructive management of the creation by man, therefore, besides its practical impact on his own quality of life, attains a critical moral dimension, and constitutes a heavy disrespect towards the Creator. Moreover, the subject of environment in general, which we pose here today, along with the often discussed issue of communication, is certain to open up very important perspectives for the partial tasks of this present seminar, for which reason we rejoice most warmly in the name of the Mother Church, and personally. It is clear, as we have stated elsewhere in similar inaugural addresses, that through these opening words of greeting for the beginning of the deliberations, in no way do we propose to prejudice or even to influence substantially the work planned, since indeed our Modesty does not speak here as one of the experts on the subject. Rather, it is certainly our desire to express a few most general prefatory statements regarding the authoritative positions of the Church on the whole subject of environment, and especially in relation to the development (which for us here has eminently vital significance) of increased communication, for the benefit of the whole of mankind and, ultimately, for the glory of God. In short, it is sufficient to state that, just as it is important for the various systems of the human body (such as the nervous, digestive, and circulatory systems) to communicate with each other to maintain good health, so the free operation of communication has the same value. Hence, the entire physical network of varying biotopes and specific geographical ecosystems will be better served through the mutual exchange of information not only among all those responsible but also by the co-ordination of their activities. And so that we may express this same truth in its most spiritual form, and indeed in a manner most pleasing to God, we would say that just as communion with God in prayer, and just as the solidarity and interaction with one's fellow men in every real situation render truly blessed the distribution of all the good things of this present world, in a similar way, unhindered communication among all those concerned for the management of the ecological realities of the present time is equivalent to the indispensability and the sanctity of prayer. Hence, all things created may be connected in the end eucharistically for the praise of the One Creator and Father God. We wish, therefore, with all our soul, in the true spirit of prayer and service for the whole of humanity along with the whole of creation, that the blessed efforts and tasks of Summer Seminar on Halki '96 may come to fruition. We profoundly thank first our honorable governmental authorities for the facilitation which they have provided. Then, we cannot be remiss in thanking His Royal Highness The Prince Philip, Duke of Edinburgh who, once more, was well pleased to allow us to place this seminar under our joint aegis. Moreover, we thank all the others who sent messages for the beginning of our seminar, first of all His Excellency, Bill Clinton, President of the United States, who donated on behalf of the American Nation the young tree which we shall plant in a short while as a token of his esteem for the ecological endeavors of the Ecumenical Patriarchate. The expressions of support by these esteemed people demonstrate their strong interest in global environmental problems, and indicate mankind's increasing awareness of looming environmental threats. In this, communication has played a vital role. They also encourage the Ecumenical Patriarchate to continue in its undiminished and persistent initiatives in mobilising the moral and spiritual forces of the Orthodox Church to realise once more the harmony that existed between man and nature, to the glory of the Creator. 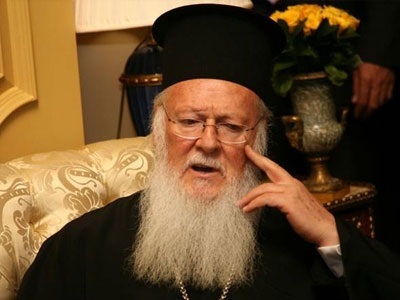 This is because the Ecumenical Patriarchate continues to observe the rapid deterioration of environmental conditions globally, which frequently results in irreversible changes. 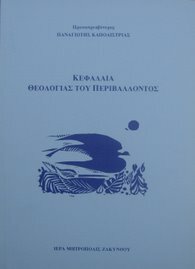 However, the Ecumenical Patriarchate sees two hopeful phenomena: On the one hand, the adoption by the international community of the principles of sustainability in the management of natural resources and a wiser conception of the development process; on the other, the growing mobilisation of people, and especially of the younger generation, in combatting threats and managing the planet in a more sensible way. In this spirit, the Ecumenical Patriarchate is organizing for the autumn of next year, a second symposium on board a ship, with the theme: "Religion, Science and Environment - An encounter of beliefs: A single objective." This symposium will focus on the environmental problems of the Black Sea, and their solution. The seminar will start on 31 August 1997 from Thessaloniki, the Cultural Capital of Europe for that year, and will sail to Istanbul, continuing to Bulgaria, Romania, Ukraine, Russia, Georgia, and returning to Turkey. Finally, congratulating the Organizing Committee of the Summer Seminar on Halki '96 and thanking all those who, in whatever way, took part in its realization, along with the participants and speakers who have been kind enough and concerned enough to come together, we entreat upon all the rich illumination of the Divine Creator, and bestow upon each individually our fatherly and Patriarchal blessing.